It’s been a while since I’ve posted anything here on Comanche too! Let’s get started! First flight since the “wild ride” flight caused by motor ejection charge “blow by”. Flight was a success. Max altitude was around 1500′. Final flight of the day was a success. Beautiful flight to about 1500′. Was noted that the apogee charge was not initiated. Suspected drag separation was the cause. 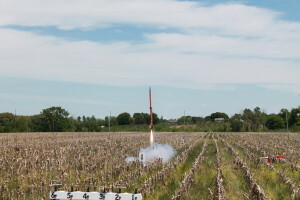 Launch was OK, though a 6 foot rail is too short for even mild wind conditions. Amherst launches were from an 8 foot rail: no weather cocking observed with those. 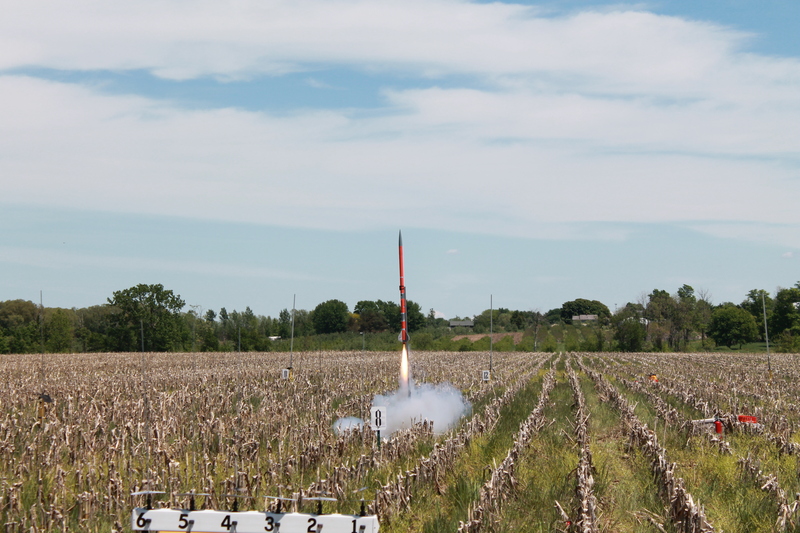 Other issue was that the altimeter failed shortly after liftoff. No electrical issues were found after recovery…just an unresponsive altimeter. First launch of the Stratologger CF altimeter in any of my rockets. Flight was a success. Comanche flew to 1490 feet. All was good! It was observed that once again, the apogee charge was not initiated. Thinking: “Drag Separation again?” This didn’t seem right, but backup apogee deployment was functioning fine. Let’s go for higher! Comanche was prepped for even higher altitude. After all, this is what the rocket was designed to do. 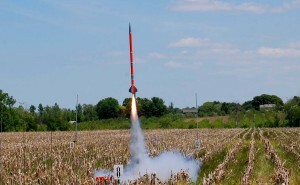 Push the envelope on Level 1 rocketry! The Aerotech I-205 motor was chosen for this mission. During preparation & checkout, an intermittent electrical connection was observed for the main apogee charge. Connections were checked, reseated & inspected. All seemed fine until on the launch pad, where the apogee charge connection failed again. This time, Comanche was returned to the prep tent, and more extensive inspections were done. Looked like the problem was solved, and Comanche was returned to the pad, where all systems reported “go” for launch. Comanche lifted off, and reached a new record altitude of 3,762 feet! 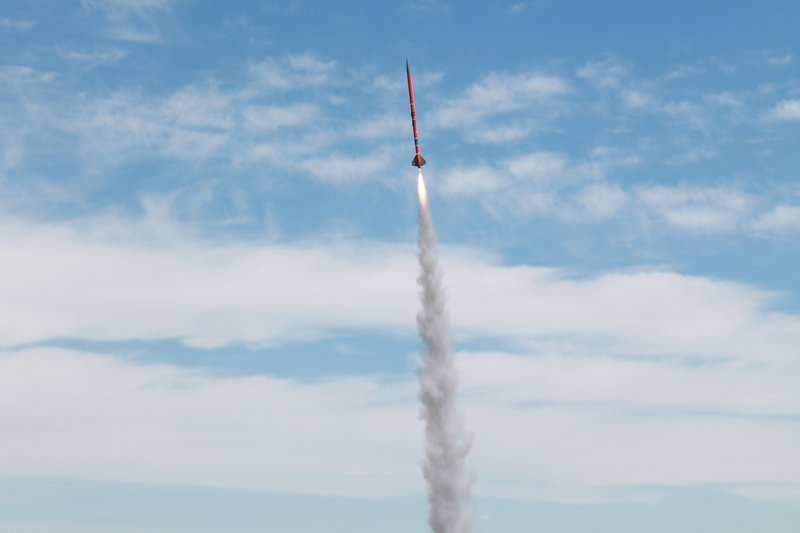 Rocket was recovered successfully, though a loaned parachute hung up inside the fairing. Some minor damage was observed form the harder than usual landing. It was once again noted that Comanche’s apogee deployment charge was uninitiated again, and backup systems were needed for event number 1. Comanche was scheduled for total electrical system overhaul over the summer. 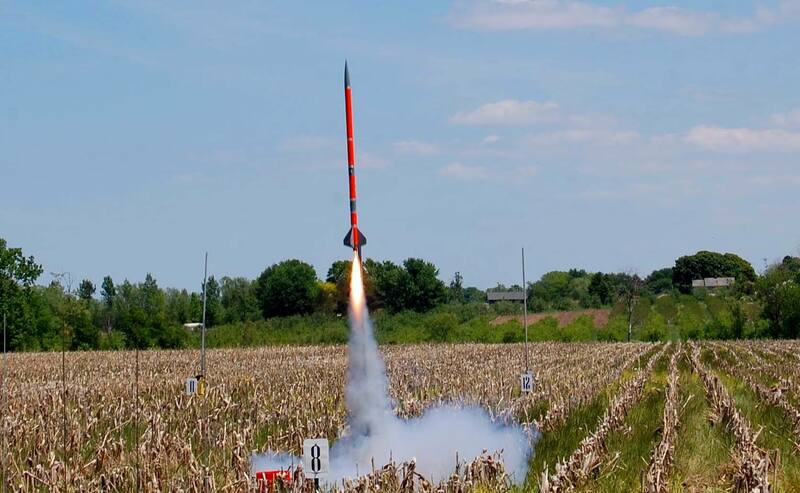 There is the quick update on rocketing activities with Comanche!